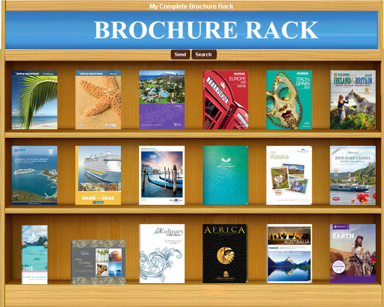 We've created this custom brochure rack just for you. You can search by destination or supplier, then email the results to yourself. Any questions? Contact your favorite travel planner at Best Connection Travel. If you haven't worked with us before, go to the Contact Us page to see our areas of specialty and to read client endorsements. To browse through our collection, simply click on the brochure rack. Once inside, there is a help button on the top left if you need assistance.